Contents Includes complimentary adhesive strips for easy installation onto a door or wall. 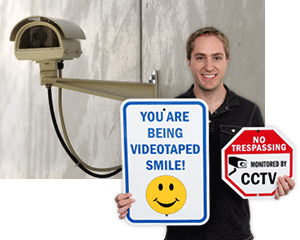 Point out surveillance features with a stylish engraved sign. The forest green was lighter than the picture led to believe.